I’m dreaming of listening to a fave summertime anthem, on repeat… bustin’ a move and nodding along to Will Smith rappin “Summer, summer, summertime, Time to sit back and unwind”, drink in hand, and the sun beating down on me. June is our summertime, break-time fun month. We hit the road and hunt down a desert. We explore projects we’ve been dreamin’ up, we chase leads, we think BIG… it’s a month to recharge, to do what we need to keep our minds clear and our ideas fresh. But not this past June. I’m hustlin’, bustin’ a sweat from nonstop packing (minus the bootyclappin’). Not STMT Kits … I’m packing up RAH headquarters. Why? RAH HQ moved to a dopeass spot in the heart of Seattle! I created a Pinterest board to collect inspiration, I created a Trello board to track tasks, I collected paint chips and laminate swatches… I thought my game was legit. But OMFG nothin’ prepared me for the the wave of emotions and stress that I experienced. Nothing hinted at the amount of work that we tackled. So it’s been quiet on the blog front (and actually allourfronts). I’ve been neck deep in crazy and f’in exhausted. Who knew designing and building our dream office space would be such a BIG task?! We’re a month in and finally kicked off the build phase. YAASSSS! 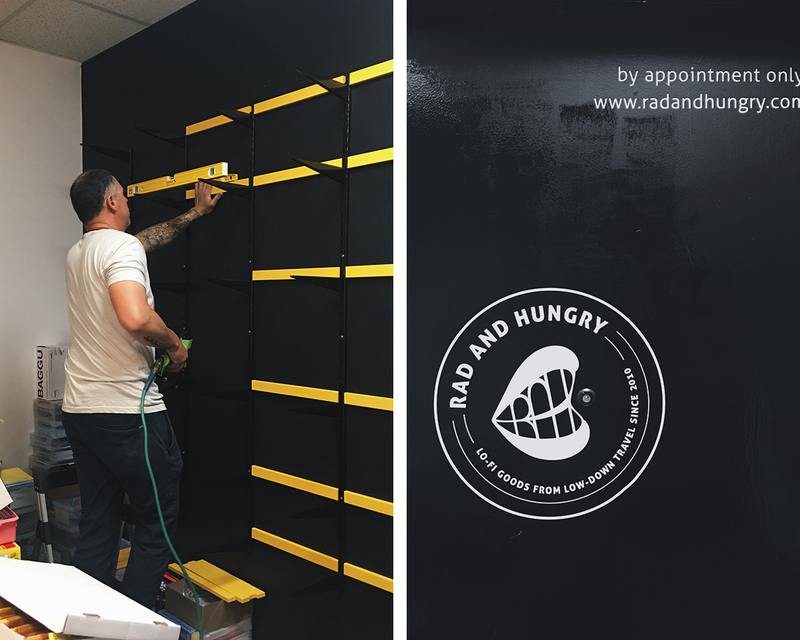 RAH HQ is gonna be super rad and we are READY to get into our new space. I’m dying to share more photos with y’all and have RAHstrs over to geek down about all thing office supplies! Fingers crossed that’ll be soon.